Obviously on Rackspace with a separate database server with InnoDB Engine, you will never use Disk Cache feature of W3 Total Cache Plugin. If you have optimized my.cnf using Major Hayden’s script or Major Hayden or someone like him has optimized for you on Rackspace ( Read this article Tweak MySQL my.cnf using Major Hayden™s MySQL Tuner Script if you are not understanding what we are talking about ). Minimum, you should know up to this level – How to Export WordPress MySQL Database on Rackspace Deployment. If you are not comfortable to use MySQL in this way, do not experiment on production server / Live Website. InnoDB Table Optimization for WordPress is Kind of Wrong Post Title! You will see, it is giving you return that it is not supported, because you might have worked with innodb_file_per_table. OPTIMIZE probably calls ALTER TABLE command when executing against InnoDB tables. Probably, because except Database Administrators, so much minute theory is not possible to tell. Database Administrator is not needed for only WordPress unless one has very difficult problem. 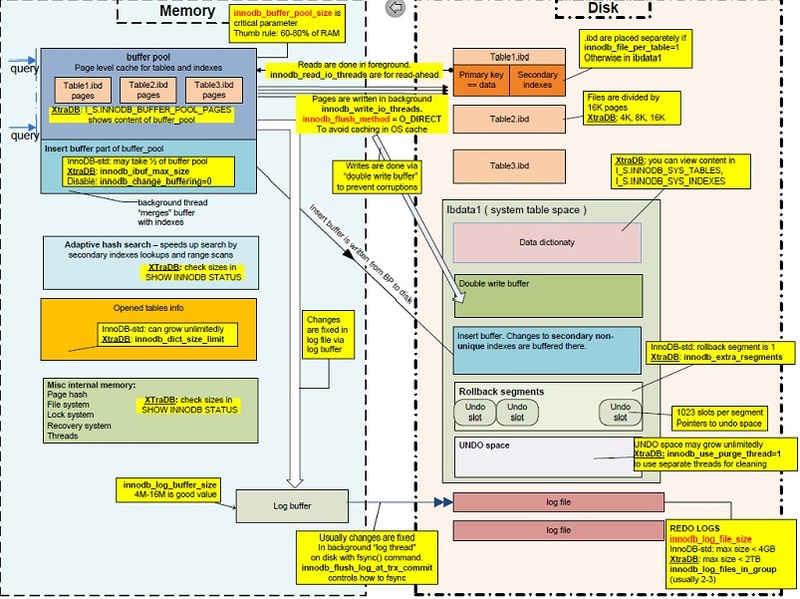 Running OPTIMIZE TABLE against an InnoDB table does two things. So – InnoDB tables do not support optimization. You can optimize MySQL tables only. If we frequently deleted rows (or update rows with variable-length data types), we could end up with a lot of wasted space in your data file(s), similar to filesystem fragmentation. Actually with WordPress we do not perform such very complicated work. If we are not using the innodb_file_per_table option, the only thing we can do about it is export and import the database, a time-and-disk-intensive procedure. But if we are using innodb_file_per_table, we can identify and reclaim this space. But, unlike other engines, we actually need to shutdown the incoming and outgoing calls to the database. That simply means we can not directly optimize InnoDB. We can not because we usually do not need at all. If running service mysql restart hugely fast, then you need to fine tune. This Article Has Been Shared 7931 Times! List of CMS without Database features some Free Software and some proprietary CMS which can serve the basic purpose of using a CMS – managing the contents. HTML5 can be difficult to understand at high end usage. Basic usage of HTML5 is otherwise easy. Here is a list of Vocabulary and Interfaces for HTML5. Genesis 2.0 is HTML5 based and YARP is one of the best related post plugin. Here is how to use Schema.org markup to tell search engines about the related links. Remove 3rd Party URLs Added By WordPress Plugins by a Bit Manual Searching on the Source Codes of the Plugins for Better on Page SEO. Here is Some Examples. Add Itemprop image Schema in WordPress Posts regardless of your type of Theme or Theme Framework – its do-it-yourself guide without keeping hit or miss chance. Cite this article as: Abhishek Ghosh, "InnoDB Table Optimization for WordPress," in The Customize Windows, September 9, 2014, April 21, 2019, https://thecustomizewindows.com/2014/09/innodb-table-optimization-for-wordpress/.